Classically, the central idea undergirding various forms of “socialism” (and there have been many, many forms, some of which use the terminology, some not) is democratic ownership of “the means of production,” or “capital,” or more simply, “productive wealth.” Quite apart from questions of exploitation, systemic dynamics (and “contradictions”), the core idea is simple and straightforward: Those who own wealth – and the corporations that operate it – have far more power to control any system than those who don’t. In a nation in which a mere 400 people own more wealth than the bottom 180 million together, the point should be obvious. What is new in our time in history is that the traditional compromise position – namely progressive, or social democratic or liberal politics – has lost is capacity to offset such power even in the modest (compared, for instance, to many European states) ways the American welfare state once represented. Indeed, the emerging direction is to cut back previous gains in many areas – not to sustain or enlarge them. Even Social Security is now on the table for cuts. Perhaps the most important reason for the decline of the traditional reform option is the decline of labor: Union membership has steadily decreased from roughly 35 percent of the labor force in 1954, to 11.3 percent now – a mere 6.6 percent in the private sector. Along with this decay, and give or take an exception here and there, major trends in income and wealth, in civil liberties, in ecological devastation (and the release of climate-changing gases), in poverty and many other important indicators have been “going South” for several decades. It is, accordingly, not surprising that dictionary look-ups and polls show interest in “something else.” If, as is likely, the trends continue, that interest is also likely to increase. But what, specifically, might that “something else” entail? And is there any reason to hope – even as interest in the word “socialism” grows in the abstract – that we might move from where we are to “some other system” that might nurture equality, liberty, ecological sustainability, even global peace, more than the current decaying one we now have? Starting at the ground level, there appear in virtually all studies to be very good reasons – for small and medium-size firms – to arrange ownership through cooperatives and worker-owned and self-managed enterprises. This is where direct democratic participation is (or can be) strongest, where a new culture can be developed and where a very different vision of work can evolve. Very solid proposals have been offered in such books as John Restakis’ Humanizing the Economy: Co-operatives in the Age of Capital and Richard Wolff’s Democracy at Work: A Cure for Capitalism (on what he calls “worker self-directed enterprises”). On the other hand, for larger, significant-scale enterprises, worker-ownership may not solve some critical problems. When worker-owned large firms operate in a market-based system (as proposed by some progressive analysts), groups of workers in such firms may develop narrow interests that are not necessarily the same as those of the society as a whole. (It may be in their interests, for instance, to pollute the community’s air and water rather than pay cleanup costs – especially when the firm faces stiff competition from other private or worker-owned companies.) Studies of worker-owned plywood companies in the Northwest found that all too easily workers developed narrow “worker-capitalist” attitudes (and conservative political views) as they competed in the marketplace. Nor does such ownership solve problems of inequality: Workers who “own” the garbage companies are clearly on a different footing, for instance, than specific groups of workers lucky enough to “own” the oil industry. Often here – and in several other variants of socialist ideas – it is hoped that a new culture (or ideology) or progressive forms of taxation, regulation and other policies can offset the underlying tendencies of the models. However, there is reason to be skeptical of “after-the-fact” remedies that hope to counter the inherent dynamics of any model, since political power and interest group influence often follow from ownership irrespective of good intentions and the hope that progressive political ideals, or ideology, will save the day. If the attitudes nurtured by the plywood co-ops turn out to be the norm, then new worker-owned companies would likelynot generate strong support for regulations and taxation that help society at large but restrict or tax their own firm. Let me stress that we simply do not know whether this might or might not be the case. It is, however, a mistake to assume either that socially responsible regulations can be “pasted on” to any institutional substructure (especially if they create costs to that substructure), or that institutions will automatically generate a sufficiently powerful cooperative culture and institutional power dynamic in favor of regulations and taxation even if it adds costs to their own institution and is detrimental to the material interests of those involved. To get around some of these problems, some theorists have proposed democratically managed enterprises that are nonetheless owned by the broader society through one or another structural form. Although workers in the “self-managed” firm could gain from greater efficiency and initiative, major profits would go to the society as a whole. Still, note that in such cases, too, the incentive structure of the competitive market tends to create incentives to reduce costs – for instance, by externalizing environmentally destructive wastes. Also, when there are economies of scale, market-based systems generate very powerful pressures to adopt new technologies and prioritize growth (or lose out to other firms that also are under pressure to grow and adopt new technologies) – and this dynamic, too, runs counter to the needs of an ecologically sustainable future.) John Bellamy Foster’s The Ecological Revolution, among other efforts, gives depth to the ecological foundational arguments further systemic designs must consider. We are clearly at the exploratory stage in connection with these matters, but the really important question is clearly whether a new model might inherently generate outcomes that do not require “after-the-fact” policy fixes or attempted fixes it is hoped the political system will supply. Especially since such “fixes” come out of a larger culture, the terms of reference of which are significantly set by the underlying economic institutions, and if these develop competitive and growth-oriented attitudes, the outcomes are likely to be different from those hoped for by progressive proponents. Lest we jump to any quick conclusions, it is again important to be clear that no one has as yet come up with a serious “model” that might both achieve efficiencies and self-directed management – and also work to create an equitable, ecologically sustainable larger culture and system. All have flaws. Community models also inherently “internalize externalities” – meaning that unlike private enterprise or even worker-owned companies that may have a financial interest in lowering costs by not cleaning up environmentally destructive practices, community-owned firms are in a different position: If the community chooses to continue such practices, it is polluting itself, a choice it can then examine from a comprehensive perspective – and in a framework that does not inherently pose the interests of the firm against community-wide interests. Current suggestive practical developments in this direction include a complex or “mixed” model in Cleveland that involves worker co-ops that are linked together and subordinated to a community-wide, nonprofit structure – and supported by something of a quasi-planning system (directed procurement from hospitals and universities that depend in significant part on public financial support). An earlier model involving joint community and worker ownership was developed by steelworkers in Youngstown, Ohio, in the late 1970s. The Jewish theologian Martin Buber also offered a community-oriented variation based on cooperative ownership of capital in one geographic community. He saw this “full cooperative” (and confederations of such communities) as an answer the problems both of corporate capitalism and of state socialism. Buber’s primary practical experimental demonstration was the Israeli cooperative commune (kibbutz), but the principle might well be applied in other forms. Karl Marx’s discussion of the Paris Commune (and of the Russian village commune or mir) is also suggestive of possibilities in this direction. To the extent this is so, or could be nurtured, a systemic design based on communities (or joint worker-community ownership) might both allow for decentralization and also for the generation of common values. A subset of issues also involves smaller scale geographic community ownership, in the form of neighborhoods. And such a model might also include a mix of smaller scale worker-owned and cooperative forms, and even (larger scale) state and nationally owned public enterprise as well – a structural form that is now far more common and efficient in many countries around the world than is widely understood. Social ownership by neighborhoods, municipalities, states, and, of course, nations (all with or without some formula of “joint” worker ownership) are not the only models based on the fact that geography is commonly inherently inclusive of all parties – and therefore potentially capable of helping nurture inclusive norms and inclusive cultures. A final formula (for the moment) for significant scale and ultimately large industry is also based on geography, but at a different level still. This attempts to resolve some of these problems (and that of genuine democratic participation) by defining the key unit as a region, a formula urged by the radical historian, the late William Appleman Williams, as especially appropriate to a very large nation like the United States. It is not often realized how very different in scale the United States is from most European nations: Germany, for instance, can be tucked into a geographic area the size of Montana. Nor have many faced the fact that our current 315 million-person population is likely to reach 500 million over coming decades (and possibly a billion by the end of the century, if the US Census Bureau’s high estimate were to be realized.) During the Depression, various regional ownership models like the Tennessee Valley Authority were proposed, some of which were far more participatory and democratic in their design than the model that is currently in place. Legislation to create seven large-scale, publicly-owned regional efforts was, in fact, supported by the Roosevelt Administration at certain points in time. Many other variations, of course, also have been proposed. The Parecon model, for instance, would attempt to replace a system of market exchanges with a system in which citizens would iteratively rank their preferences for consumer goods along with proposed amounts of proffered labor time. Proposals, like that of David Schweickart in After Capitalism, pick up on forms of worker self management, but also emphasize national ownership of the underlying capital. Seth Ackerman, in arecent essay for Jacobin, urges a worker-controlled model, but stresses the need for independent sources of publicly controlled investment capital. Other thinkers, like Michael Leobowitz in his book, The Socialist Alternative: Real Human Development, have taken inspiration from Latin America’s leftward movement, and especially from Venezuela, to articulate a participatory vision of socialism rooted in democratic and cooperative practices. Joel Kovel in The Enemy of Nature argues that the impending ecological crisis necessitates a fundamental change away from the private ownership of earth’s resources. As noted, there is also the question of enterprise scale – a consideration that suggests possible mixes of different forms of social ownership: where to locate the ownership and control of very large scale firms is one thing; very small another; and intermediate still another. Most “socialist” models these days also allow for an independent sector that includes small independent capitalist firms, especially in the innovative high-tech sector. Finally, there is much to learn from models abroad – particularly Mondragon, on the one hand, and the worker-cooperative and other networks in the Emilia Romagna region of Italy, on the other. The first, Mondragon, has demonstrated how an integrated system of more than 100 cooperatives can function effectively (and in areas of high technical requirement) – and at the same time maintain an extremely egalitarian and participatory culture of institution control. The Italian cooperatives have demonstrated important ways to achieve “networked” production among large numbers of small units – and further, to use the regional government in support of the overall effort. Though the experience of both is extraordinary, simple extrapolations may or may not be possible: Both models, it is also important to note, developed out of historical contexts that helped create intense cultural and political solidarity – contexts also of extraordinary repression by fascist regimes, Franco in Spain, Mussolini in Italy. Finally, although the Emilia Romagna cooperatives are effective in their use of state policy, both models are best understood as institutional “elements” that may contribute to a potential national solution. Neither claims to, or attempts to, develop a coherent overall “systemic” design for a nation. These various abstract considerations come down to earth when one realizes that there is far more going on, practically, on the ground related to the ownership forms than most people realize – a great deal that is not covered by the increasingly hobbled and financially constrained press. For a start, around 130 million Americans – 40 percent of the population – are members of one or another form of cooperative, a traditional collective ownership form that now includes large numbers of credit unions, agricultural co-ops dating back to the 1930s, electrical co-ops prevalent in many rural areas, insurance co-ops, food co-ops, retail co-ops (such as the outdoor recreational company REI and the hardware purchasing cooperative ACE), health-care co-ops, artist co-ops and many, many more. There are also many, many worker-owned companies structured in ways different from traditional co-ops – indeed, around 11,000 of them, involving 10.3 million people, in virtually every sector, some very large and sophisticated. Technically, these companies are structured as ESOPs (Employee Stock Ownership Plans) – and in fact 3 million more individuals are involved in worker-owned companies of this kind than are members of unions in the private sector. (Though there have been a variety of problems with this form, there has also been evolution with greater worker control and also experiments with unionization that in the future might suggest important additional possibilities.) Finally and critically, the United Steelworkers have put forward a new direction in union-worker co-ops. There are also thousands of “social enterprises” that use democratized ownership to make money and use both the money and the enterprise itself to achieve a broader social purpose. By far the most common social enterprise is the traditional Community Development Corporation, or CDC. Nearly 5,000 have long been in operation in almost every US city of significant size. For the most part, CDCs have served as low-income housing developers and incubators for small businesses. Early on in the 50-year history of the movement, however, a different, larger vision was in play – one that is still present in some of the more advanced CDC efforts and one that suggests additional possibilities for the future. Still another form of democratized ownership involves growing numbers of “land trusts” – essentially neighborhood or municipal corporations that own housing and other property in ways that prevent gentrification and turn development profits into support of low- and moderate-income housing. One of the best known is the Champlain Housing Trust in Burlington, Vermont, which traces its modest beginnings to the early 1980s and now provides accommodation for more than 2,000 households. Hundreds of such collective ownership efforts now exist, and new land trusts are now being established on an expanding, ongoing basis in diverse contexts and cities all over the country. Since 2010, twenty states have also considered legislation to establish public banks like that of North Dakota, which has operated with strong public support for more than nine decades. Approximately 20 states have considered legislation to establish single-payer health-care plans. Nor should we forget that the United States government de facto nationalized General Motors and AIG, one of the largest insurance companies in the world, during the recent crisis. It started selling them back once the profits began to roll, but in future crises, different outcomes might be ultimately achieved if practical experiments at the local and state level begin to create experiences that might be generalized to national models when the time is right – especially if the current system continues to decay and deteriorate. (Many of the national models that became the core programs of the New Deal were incubated in the state and local “laboratories of democracy” in the decades prior to the time national political possibilities opened up). 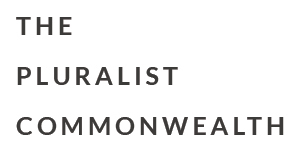 At this stage of development, there is every reason to experiment with many forms – a “community-sustaining” direction that I have suggested might be called a “Pluralist Commonwealth” to emphasize the plurality of common or democratized wealth-holding efforts. I obviously do not hope in this brief sketch to try to offer a fully developed alternative. My goal is much simpler: First, to suggest that the questions classically posed by the word “socialism” that is now coming back into public use need to be discussed and debated by a much broader group than has traditionally been concerned with these issues; and second, to suggest further that if one looks closely there is evidence that some of the potential real world elements of a solution may be developing in ways that might one day open the way to a very American and very populist variant (whether called “socialist” or not). It is time, accordingly, to discuss the deeper design issues carefully and thoughtfully and in ways that involve a much larger share of the very large numbers of people, beyond the traditional left, who the polls and dictionary inquiries suggest may be interested in these questions. Even as we learn more and more about the various forms and their positive and negative features and tendencies, hopefully we can engage in a far-reaching and thoughtful debate about how a new model might be created that is both systemically sophisticated and also appropriate to American culture and traditions – a model that nurtures democracy and a culture of inclusiveness and ecological sanity. Many serious and committed people on the left have been struggling with these issues and keeping the critical questions alive for decades. Even though the way forward, politically, is obviously daunting, difficult and uncertain, it is time to widen the dialogue in ways that include the millions of Americans who now seem increasingly open to the challenge. Nor should the pessimism of the moment undercut what needs to be done: Anyone looking at Latin America 30 years ago might easily have been judged foolish to think change could occur – and that debate concerning these kinds of questions was important. Yet even during and through the pain – and the torture and dictatorship – new beginnings somehow were made in many areas and by many people. Our own course may be difficult, but easy pessimism is an all-too-common escape mechanism to avoid responsibility. It is also comforting: If one buys the judgment that nothing can ever be done, that it is impossible, one has an excuse not to try and also not to try to reach out to others. The fact is the failings of the present system are themselves forcing more and more people to explore new ideas and develop new experiments and new political efforts. The important points to emphasize are three:  There is openness in the public, and especially among a much, much broader group than many think, to discussing these issues – including even the word “socialism;”  It is accordingly time to get very serious about some of the challenging substantive and theoretical issues involved; and  There are also many on-the-ground experiments, and projects and developments that suggest practical directions that are under way, but also that a new politics (whatever it is called) might begin to build upon them if it got serious. This entry was posted in Articles, Resources for The Next American Revolution, Resources for What Then Must We Do?. Bookmark the permalink. Both comments and trackbacks are currently closed.